For the third year we are inviting the open source community gathered around Arduino and Genuino globally to celebrate with us Arduino Day 2016 on Saturday April 2nd! 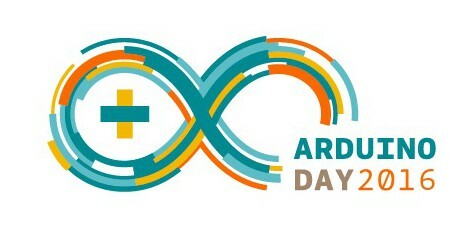 Arduino Day is a worldwide celebration of Arduino’s birthday. It’s a 24 hours-long event –organized directly by the community, or by the Arduino team– where people interested in Arduino get together, share their experiences, and learn more. Everyone can participate in the role of local organizer or as a participant. For the past two years organizers throughout Europe, North and South America, Asia, Africa and Australia involved participants in activities, workshops, events for a wide range of audiences and skillsets. Stay tuned because in February we’ll be launching the open call for entries. In the meanwhile explore what happened in 2014 and 2015 and … start organizing! 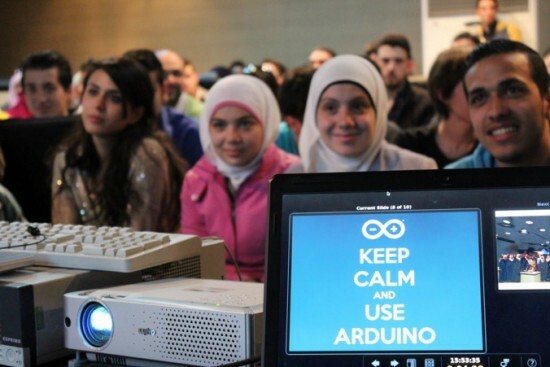 Eagerly Waiting For Arduino Day Lets Make World Peace Tech Folks……. We have had much success in previous editions. Now we expand our experience, providing new and major innovations for the new event this year. We want to share this experience with the rest of the community. That’s great! How can I organize something for my country? in Medellín, Colombia, we are preparing an interesting event with our students and teachers!! Making plans if even just a small gathering. The plan is coming together. Looking forward to seeing the day. Hi, I trying submit my event, but at day.arduino.cc page all the info talk about 2015…??? What’s up? We are greeting from Mongolia. We celebrate Arduino Day at National University of Mongolia.